David Chipperfield’s Hepworth Gallery in Wakefield is an imposing concrete citadel that seems to rise straight out of the River Calder. But this imposing exterior conceals a surprisingly flexible space. 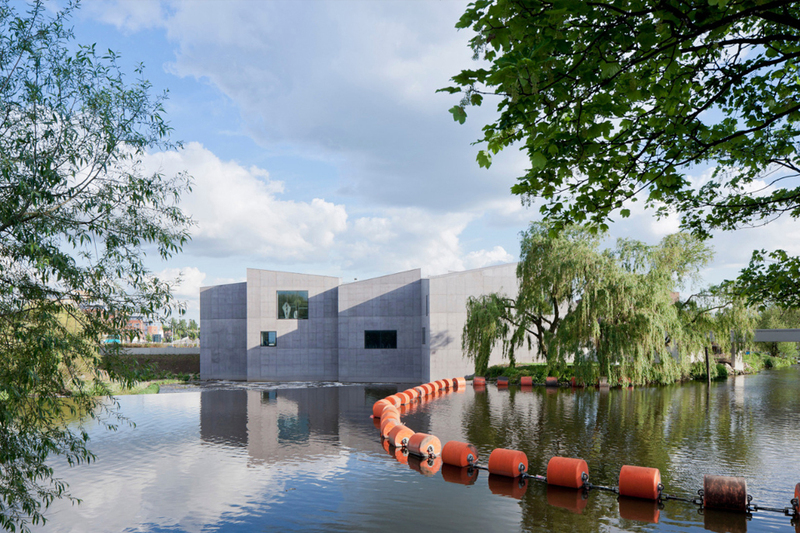 David Chipperfield’s £35m Hepworth Gallery is the focal point of the regeneration of Wakefield’s River Calder waterfront, an imposing citadel-like form that uses an unusual concrete finish to great effect. Located on the site of a former mill and facing a weir, the gallery has an eclectic mix of neighbours including Victorian warehouses, modern low-rise industrial units, a motorway slip-road ridge and the rather fine medieval Chantry Chapel. At 5,000m2, it is the largest gallery to be purpose-built in the UK for 50 years, and houses the Hepworth Family Gift, which comprises 30 previously unseen models and prototypes by Wakefield-born sculptor Barbara Hepworth. Also included in the gallery are works by other artists including Jacob Epstein, Henry Moore, Anthony Caro, LS Lowry and David Hockney. The gallery consists of 10 double-height trapezoidal concrete blocks, each with independent mono-pitched roofs. The blocks’ monolithic presence gives the building a real sense of identity and purpose and, despite rising straight from the river, the gallery feels firmly rooted to the ground. While the choice of self-compacting concrete serves to emphasise the building’s solidity, the use of a coloured pigmentation gives it a rich, shimmering quality and complements the tones of the exhibits within. The shade is a hard-to-pindown greyish aubergine, described by the architect as “Hepworth Brown”. The addition of pigment to self-compacting concrete had never been tried in the UK, and bespoke pour techniques had to be developed to achieve the desired patina and ensure an even colour distribution. Following a range of tests, limestone fines were chosen to replace fly ash (FA). The structure sits on a 400mm raft slab on piles. More than 100 piles were sunk across the site, with their caps connected by a continuous ring beam upon which the walls were cast in situ. The 300mm-thick walls have been constructed to reservoir standards, with a dense reinforcement mesh of 20mm rebar at 150mm centres, because they not only face the full force of the weir but also serve as a flood defence for the area. The designers have also taken advantage of the Hepworth’s riverside setting for an integrated approach to the building services, with river water directed through the line of an old mill race at basement level to provide cooling. The building has been designed to achieve a “very good” BREEAM rating, and potential heating and cooling demands have already been mitigated by the heavyweight thermal mass of the concrete structure. Visiting the galleries on the upper of the two storeys provides an insight into how the demands of the internal spaces have determined the external concrete structure. The 10 gallery spaces reach up into the inclined roofs, lit by generous clerestory glazing, and no two are the same. Each has its own shape and dimensions and, therefore, its own character. 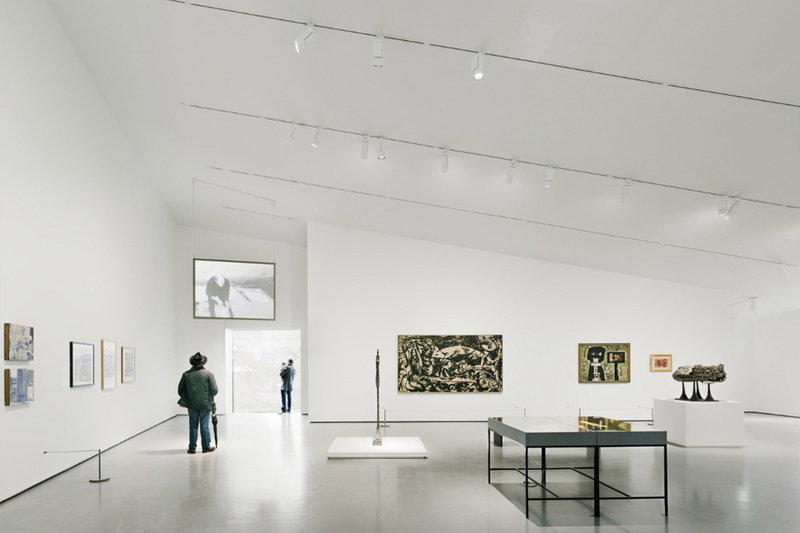 The high, pitched ceilings allow the monumental – a prototype of Hepworth’s enormous “Winged Figure”, for example – to exist alongside more intimate displays of drawings and sketches. On the lower storey there is a learning suite, cafe, lecture theatre and support facilities, and here too large windows provide a visual link to the outside, dispelling any sense of a hermetically sealed space. The gallery allows the visitor to look out upon the landscape of swirling water and industrial buildings, and then to look back at the exhibits and contemplate the relationship between the two. 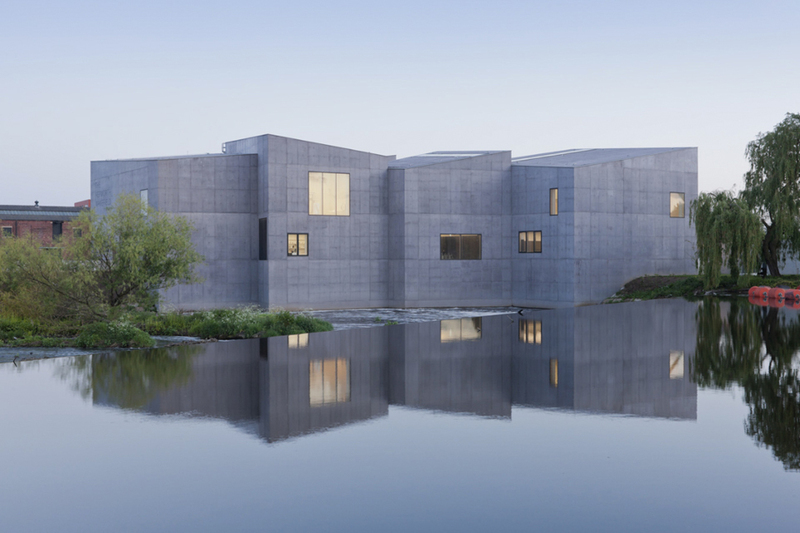 The Hepworth Gallery is one of a series of new museums and galleries in the UK – including another Chipperfield project, the Turner Contemporary in Margate – but thanks to its concrete walls it already has a sense of history. Text and images taken from 'Floating Fortress' article, (page 10) Concrete Quarterly, Autumn 2011.